How Do I Configure SSO with Okta? 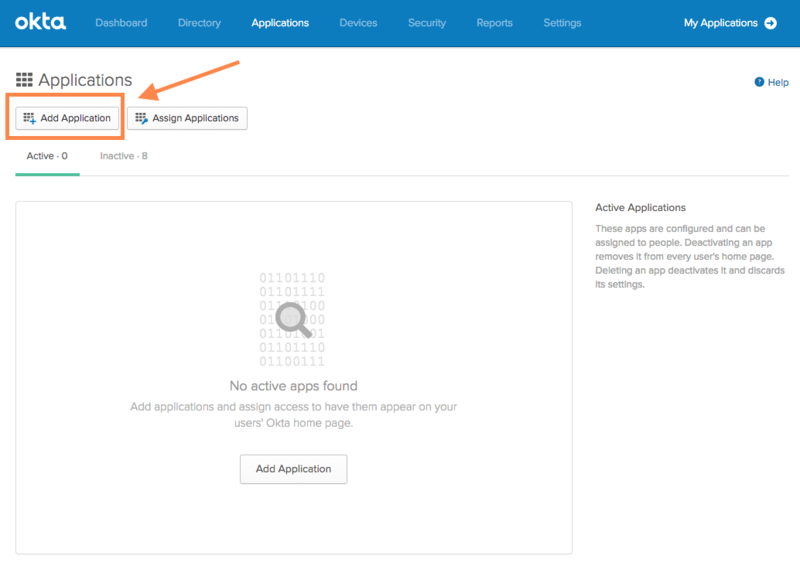 The below steps will allow you to configure single sign-on with Okta. 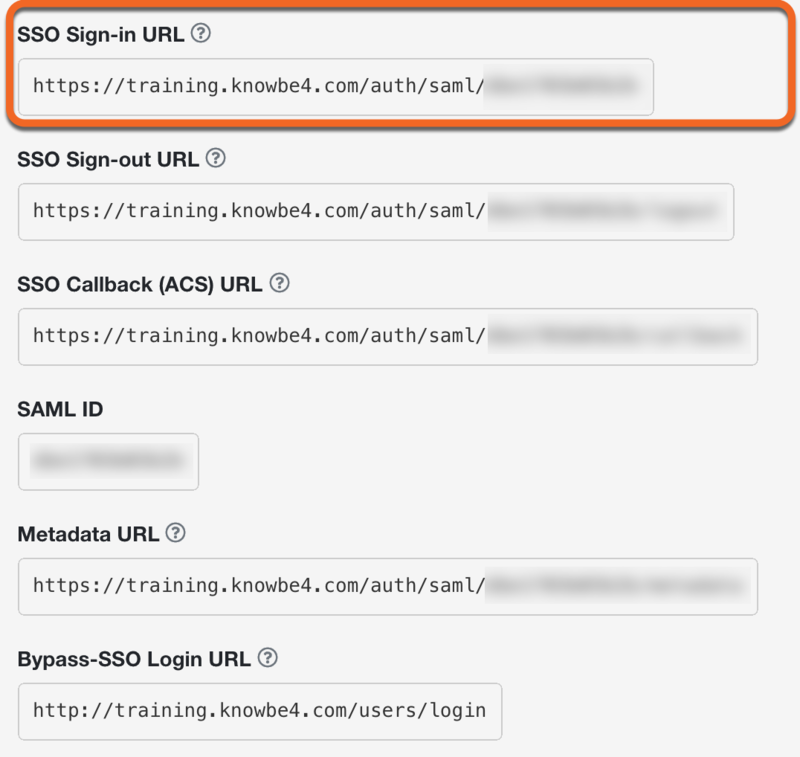 This will enable your users to automatically sign-in to KnowBe4 for their security awareness training through their Okta account. 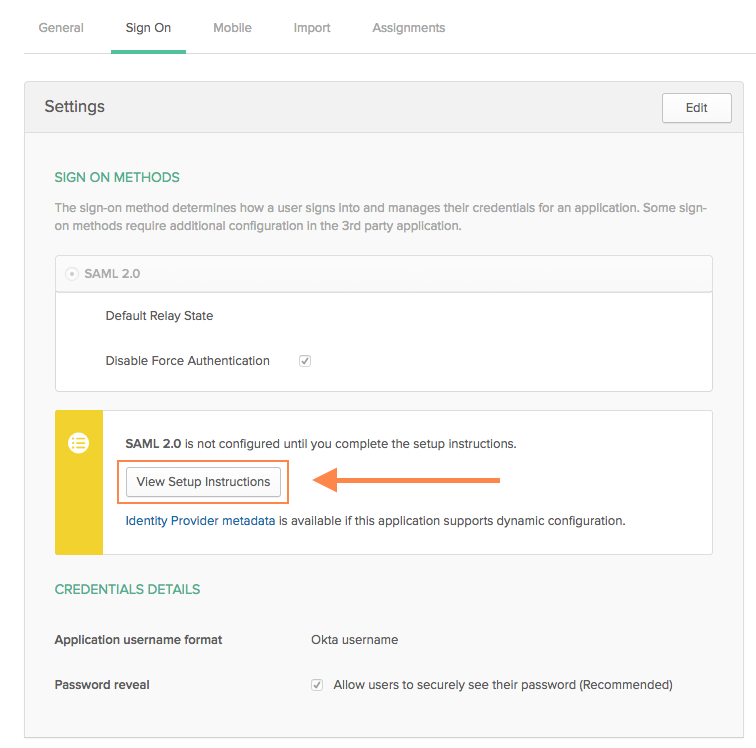 You'll need an Okta subscription to configure single sign-on with Okta. For additional assistance, review Okta's documentation. First, add KnowBe4 from the Applications tab. Log in to your Okta account and click the Applications tab. Click the Add Application button on the top-left. 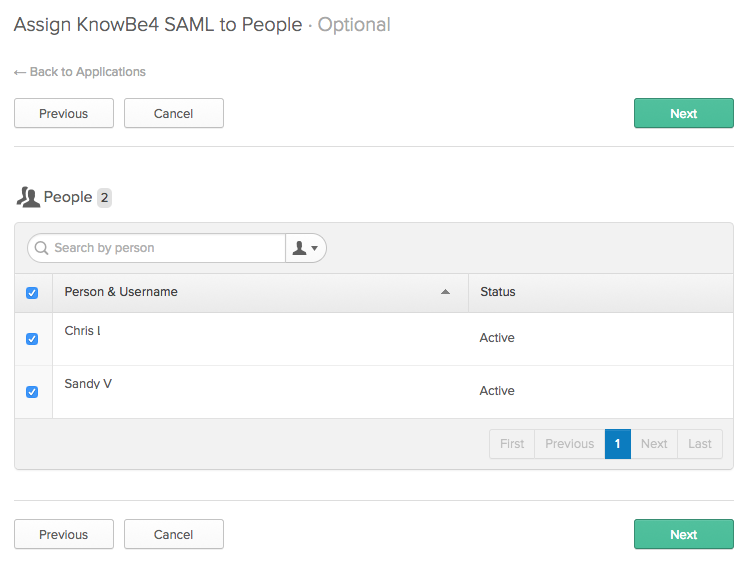 In the search box, type in KnowBe4 SAML. 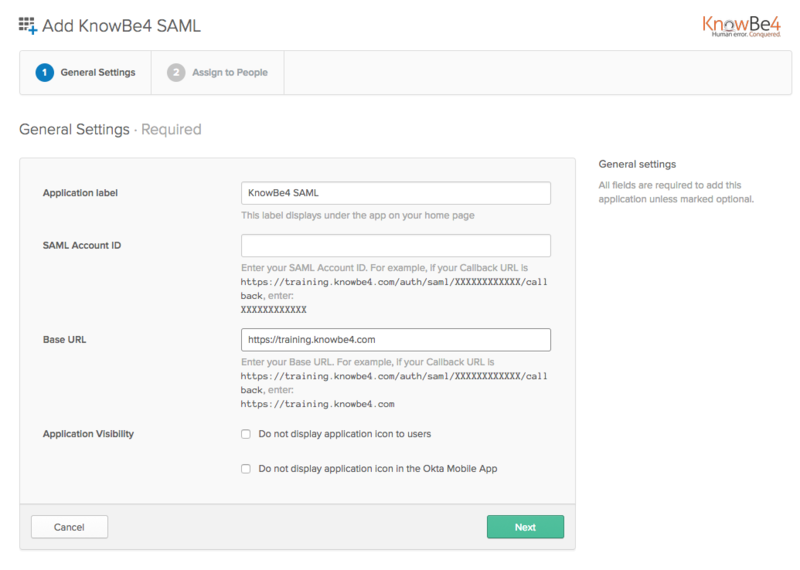 You'll see "KnowBe4 SAML" appear in the list. Click the Add button on the right. Next, obtain your KnowBe4 SSO Sign In URL. Log in to your KnowBe4 account. Click your email address on the top-right and click Account Settings. Scroll down to the SAML section and copy your unique SSO Sign In URL. Finally, configure your single sign-on. Choose the users and/or groups you wish to assign the application to, then click the Next button. Once you’ve created the assignments, go to the Sign On tab and click the View Setup Instructions button. Copy the IDP SSO Target URL and IDP Cert Fingerprint and send to KnowBe4 support to complete the setup.